The Withings Home system is the perfect way to keep you informed in real-time of everything that is going on in your home. The system is equipped with a high quality camera with a wide angle for perfect viewing, outstanding video streaming capabilities for online chatting and a memory that lets you trace back past events. An added feature of the Withings Home system is that it has air quality sensors that alert you if there are polluting elements in your home. All of these benefits are packed into a compact unit with a clean, modern design. 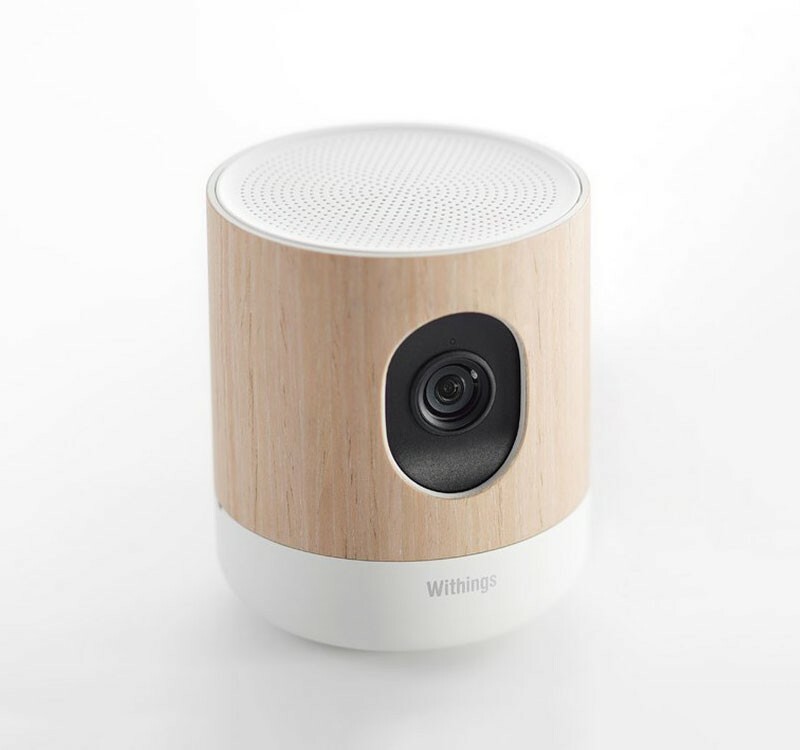 The Withings Home camera has a 135° wide angle for ideal viewing and it also has automatic dewarping which minimizes distortions. The Home system uses ePTZ-technology that provides excellent HD video feed with virtually no lags. The technology also enables you to zoom in and out of the picture (it has a X 12 zoom with auto enhancement) so you can read the shopping list on the fridge. Also, the technology has an infrared mechanical filter that lets it “see” in the dark. A handy feature lets you to go back in time and track past events. You can also access a fast moving video that shows you everything that happened in the past 12 hours. The system is also customizable and lets you define alerts. The audio qualities are also impressive. The system can transmit and receive information simultaneously which means that you can speak freely and it will communicate all of the information. Last, but definitely not least, the Withings Home system can also track indoor air pollution in real time and this information can help you protect your family from harmful contaminants.